In 2017, Steelcase has opened its new Learning + Innovation Center (LINC) in the heart of Munich. This opening came at a time when organizations worldwide are focused on staying ahead in a disruptive economy. To remain competitive and effectively innovate, organizations must become more agile and accelerate the flow of information and cycles of learning to take risks and make better, faster decisions. The LINC design is based on this principle, that rapid learning, creative work and agile teams are the building blocks of innovation. We cordially invite you to join us on March 6 at 7:00pm at our Learning + Innovation Center to learn more about how the physical workplace can promote and nurture these kinds of activities. And how a team of internal and external experts has created such a space. Due to Steelcase’s extensive expertise and experience in planning work environments, this was anything but a classic relationship between client and architect, but rather an interactive, intensive and creative collaboration which came to an impressive result. 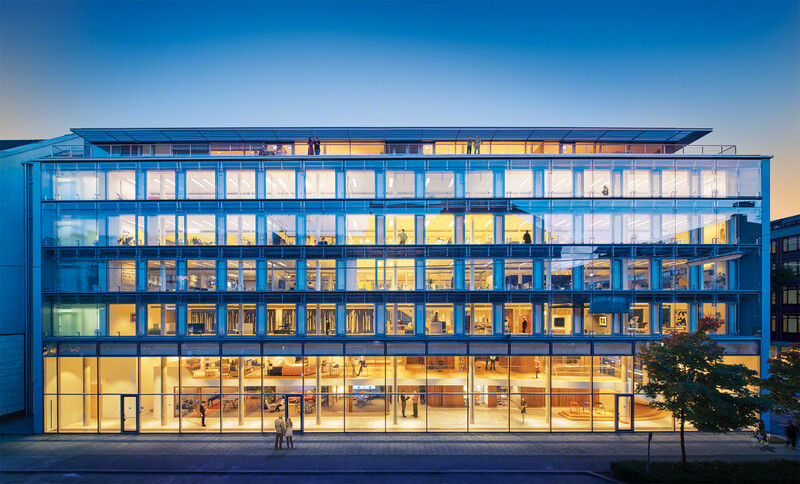 Stefan Sinning, Managing Director at renowned architectural office Henn Architects translated the architectural modernization of the existing buildings into Steelcase’s new LINC. Patrick Jouin of Paris based design office Jouin Manku was primarily responsible for designing areas that would be open to visitors. Cherie Johnson, Design Director for Global Interiors at Steelcase, was a leading part of the core LINC Design team and headed the interiors work stream. Guillaume Alvarez is Senior Vice President of Sales for the EMEA region at Steelcase and knows about the impact of the LINC on Steelcase’s business. Kim Dabbs, Director Workplace Consulting at Steelcase, will be the moderator. She was part of the LINC project team and heavily involved in creating the learning experience. The panel discussion and the interactive open discussion will be followed by a nice get-together, where you can experience the spaces. We look forward to seeing you on March 6.